What are the coldest springs you know of for the PNW from least to best to look up during those months as a whole? Do colder springs also mean lower snow levels or are they usually too dry when it is cold enough for snow below 4,000 thus not really effecting pass travel? Does it happen very often having snow tire season extended? The snow level does indeed tend to be lower during these types of springs. Interesting to see 1975 on there. That’s the year currently being challenged in the Midwest for April cold records. 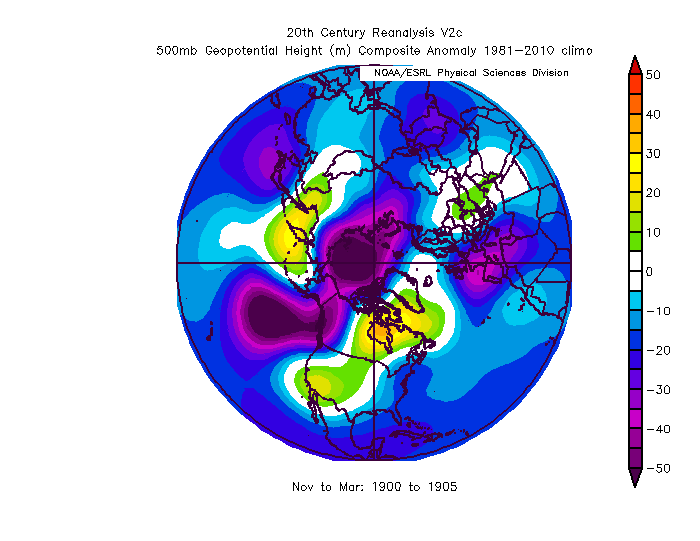 Yeah, the cold wave at the start of April 1975 was a coast to coast monster across the northern tier. SEA had 43/33 with a dusting of snow on 4/4/1975 while BOS had 37/33 with wet snow the same day, and then ORD in the middle setting a record low of 16 on the same morning. Holy moly. And here I thought this was a low wavenumber pattern. Lots of states set their April monthly records in 1975, like -24 in N. Dakota, -22 in S. Dakota, -17 in Nebraska, etc. Incredible cold wave. That's also the year England saw their famous June snowfall. Denver dropped to -2 in April 1975 as well, one of the more impressive big city readings, at least in my opinion. 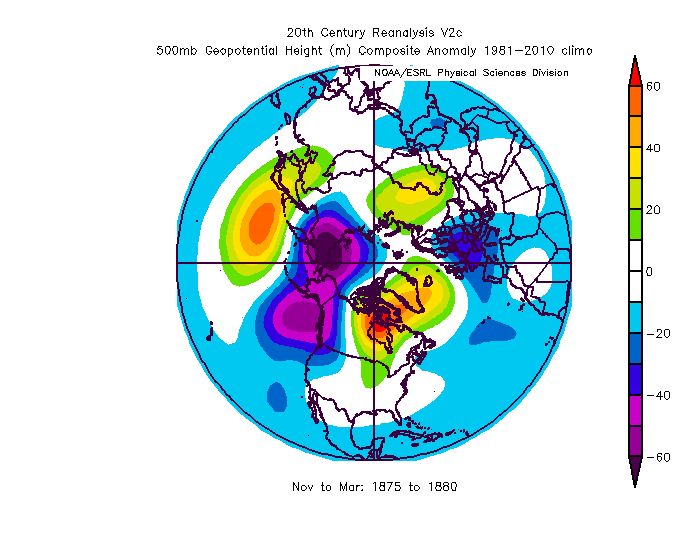 Definitely a lot more -PNA in 1975. Yeah, that multi-year Nina was a disappointment locally but it still produced some pretty impressive cool airmasses, especially relative to recent standards. 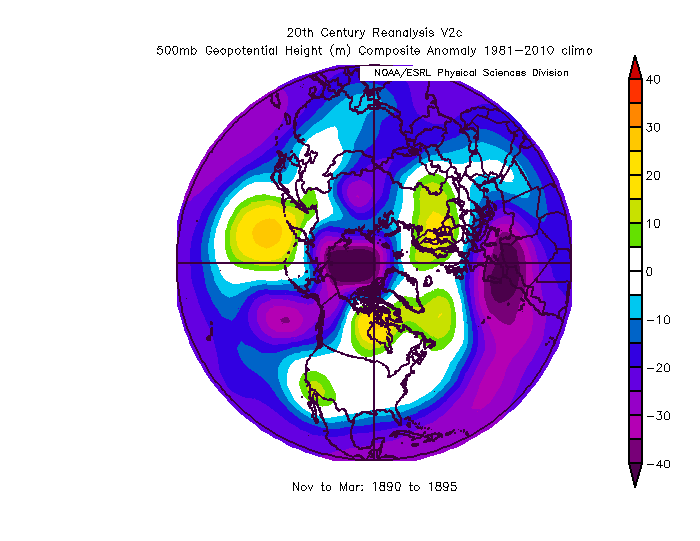 It's interesting how similar the multi-year Nina's were in both 1973-76 and 1998-01. 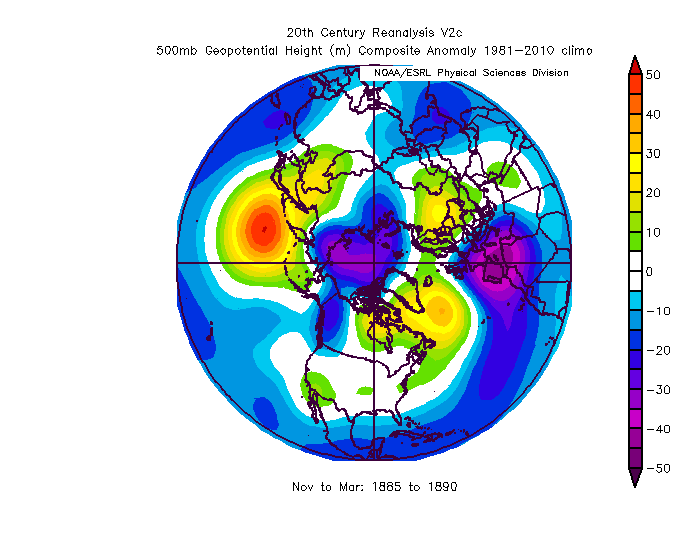 Both were disappointments locally, with raging +EPO at least partially to blame in both cases. 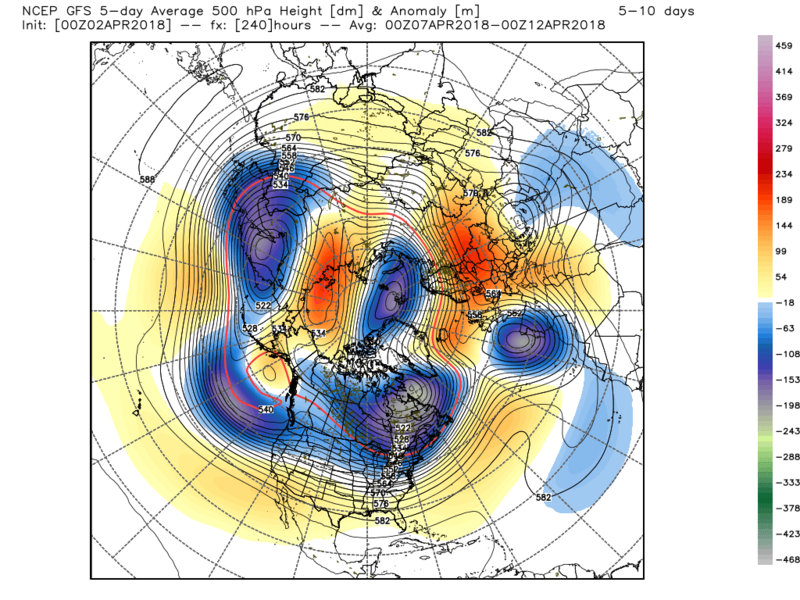 But at the same time both produced a lot of impressive cold waves elsewhere. 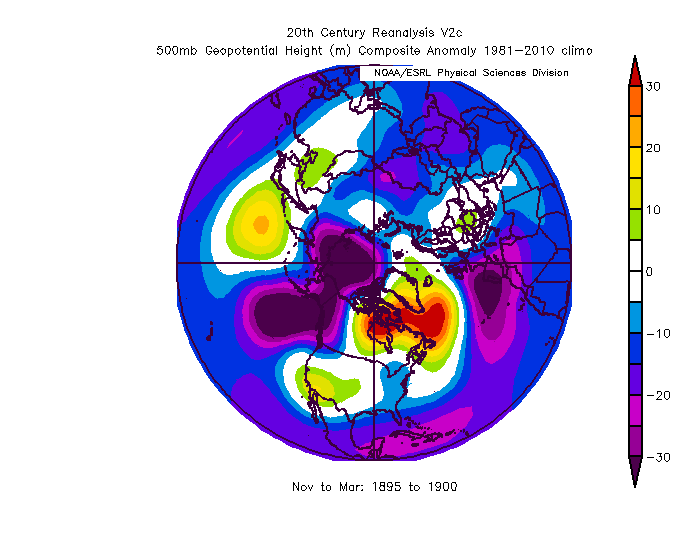 Looking back at ESRL reanalysis, those two periods weren’t all that different (structurally) from many of the late 19th century winters, as far as the EPO is concerned. 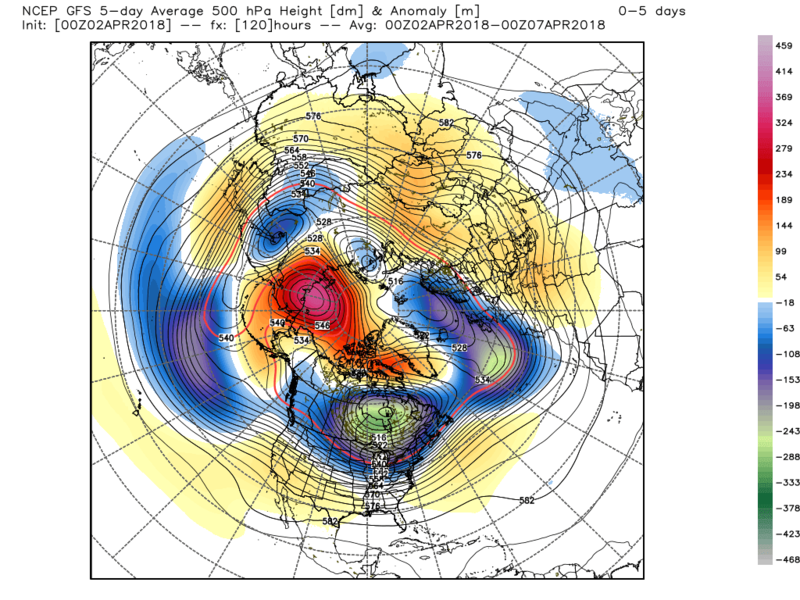 The one key difference appears to be a persistent blocking regime over Greenland/Hudson Bay during the 19th century, which has been largely absent from the 1970s onward. 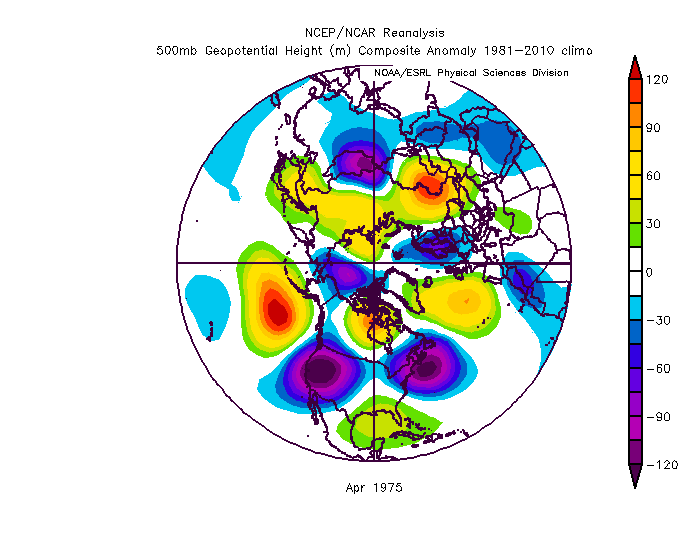 Taking the reanalysis as far back as it goes..note the similarity to the 1974-1976 and 1998-2001 regimes, but the stronger Hudson Bay/Greenland block, when averaged through these five year integrals. Since Google changed their image search recently (making a lot of users angry) not sure if it will show up properly now but that is the map of the garbage patch and it is where the path of the Humboldt Current is which is what gives us our normally cool/temperate climate. The garbage causes the ocean currents to slow/stop and get stagnated into little swirls. That will disrupt the jet stream or make it go an easier path. It has been a problem since the 2010s and we have had the Ridiculous Resilient Ridge more on then off since. It won't go away till the garbage goes away. When we do fix the garbage up it will take time but the jetstream will come back with a vengeance after being messed up so long before things get more stabilized. It's bigger now then TWO Frances and there are several smaller ones scattered across other oceans but they are growing too and it is now finally clicking into people to take care of it. I mean DUH!!!!!!!!!!!!!!!!! !